Space age technology will help propel the country’s fastest chasers with the roll out of new full body racing vests from April 1st. Inspired by the full body suits made famous by Cathy Freeman at the Sydney Olympics, the SUCKR suits are designed to minimise air resistance, enhance comfort and maximise speed. 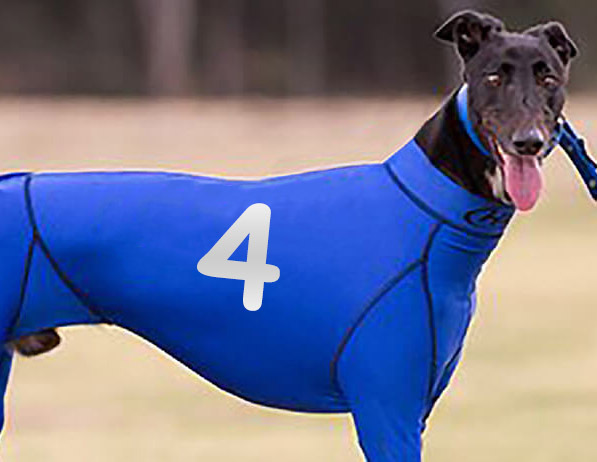 “These suits are at the very cutting edge of science and designed to markedly improve the performance of the racing greyhound,” said Professor Joe King, lead scientist at the Australian Canine Motion Examination Laboratories (ACME Laboratories). 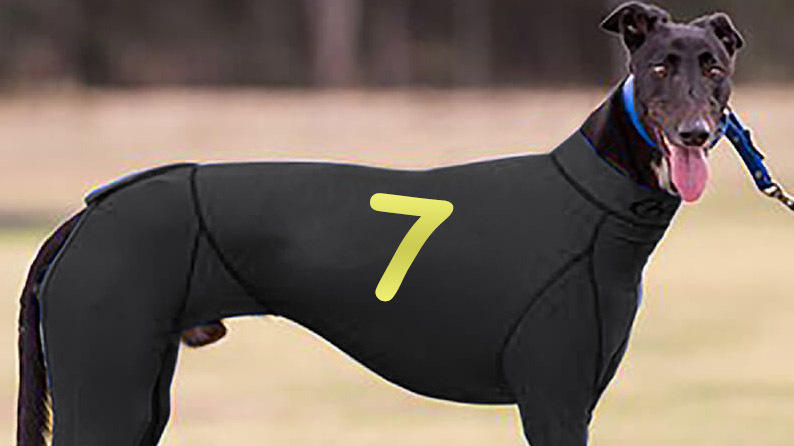 “ACME Labs has spent 12 months developing the vests and we’re extremely confident it will prove to be popular among all concerned.. “The way they are constructed effectively make the dogs lighter, reducing air resistance and increasing the stride length and speed of the greyhound. Sandown Racing and Media Manager Mick Floyd said the timing of the announcement ahead of Thursday night’s $432,000 Launching Pad heats was important. April Fools! There is no space age technology in our racing rugs but you can see the next generation of greyhound champions reach for the stars in the heats of the Launching Pad this Thursday night at Sandown Park! The image is doctored from Hidez Animal compression Suits. Check them out here.